September is here and already I am seeing Halloween being promoted in the stores which means the heavy marketing of merchandise has started now and will continue through Christmas. I really believe that this type of marketing is such a distraction for children and turns their brains into mush. Not only do the kids lose any sense of manners, the parents go into a form of Jekyll and Hyde when stores have their special deals….waiting in lines overnight, fighting to get the next hot item for their child. All in an effort to show how much they love them. But if you really love them….give them books…give them your time and interest. In a post I wrote earlier, The Gift that Keeps on Giving Giving, I share some of the values of giving your child a gift of books. To go along with this train of thought, I saw this idea on Facebook by Teresa L Levesque. As a teacher I have found that children love to be read to…no matter the age! And what a great opportunity it is to have personal time with your child to share the gift of knowledge and imagination. What a fantastic idea, I thought and suggested to my daughter that we do this with her son this year. I told her that I would provide the books, blanket and snugly toy if she would tell me which books to buy. 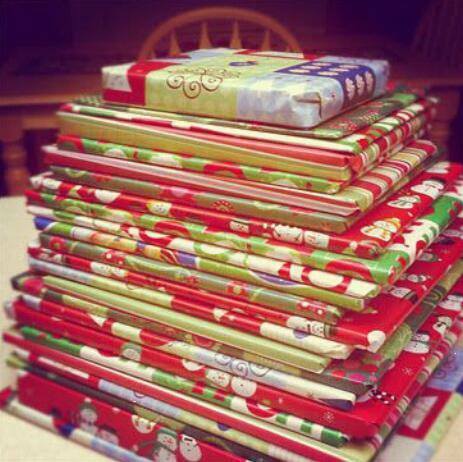 So, while the rest of the world is being deluged with the latest and greatest toy, this grandma will be collecting 25 children’s books to give the gift of knowledge and love…as we count off the number of days before Christmas! Books are always a great idea. We’ve given many wonderful ones to our grandkids over the years. Isn’t it comforting to have a little one snuggle up to your side while you read their favorite book for the umpteenth time? It never gets old. It really never does get old. When I was teaching we had a built in Read Aloud period for all classes through Junior high level and every single student loved that period of the day. This week we attended a class on story telling. The presenter told great stories that were captivating. Young or old, we all love a good story. Yes, there are some who are so enchanting in their storytelling, drawing you in with every breath. In fact some make a living out of it…Garrison Keilor comes to the tip of my tongue. I’m glad you had fun. The best thing that ever happened to me was when my 1st or 2nd grade teacher told my mom I was a terrible reader. Mom made me read every day that summer and I came back to school in the fall the best reader in the class and never looked back! You can DO or BE anything in the world if you can read and why parents would encourage kids to play with electronic toys instead of getting them to discover the world through reading is besides me. Brilliant idea! Any time a family can curl up and read together, I’m all for it! Not just the holidays!